The 2017-18 federal budget delivered this week was politically pragmatic and clever (not tricky), but economically risky. It looks as though Malcolm Turnbull and his key ministers sat down to compile a list of the main areas where the Opposition had scored well against them, or could do so, and set out to compile this budget by methodically working down the list, carefully ticking each box as best they could. Hence, the bell weather initiatives related to schools, universities and vocational training, health and pharmaceuticals, housing affordability, regions, national security, veterans and infrastructure. In several cases this required them to spend more, and they also needed to make up for the fact they finally had to ditch the “zombie” measures they carried forward previously in budget figuring, but without parliamentary support. But what about all that conditioning that budget repair was an expenditure problem? No, now it is a Senate problem! In the hope of painting an acceptable path to surplus (but again only to be delivered in the fourth year of the budget period), they needed to still rely on optimistic growth and wage assumptions. Yet they were also forced to find some “soft”, not-too-controversial tax initiatives – hence, the increase in the Medicare levy (ostensibly to fully fund the NDIS), the bank levy, the 457 visa levy (ostensibly to fund skills), a tax on foreign investors in housing and a trimming of negative gearing (both in the name of housing affordability), plus the usual ATO ambitions (regarding the black and organised crime economies and multinationals). So, what about the politics of all this? Will it work? Obviously, the short-term objective was to succeed in next weekend’s Newspoll, and to hopefully keep winning polls for a while. Certainly they could reasonably expect to get a lift. But, with a disillusioned electorate, this may only come more from a sense of relief (it could have been worse) rather than a genuine belief in the opportunities promised. Have they really done enough for the electorate to actually begin to trust and believe in them again? Will the electorate believe that suddenly Prime Minister Turnbull and his team understand their “frustration at not getting ahead”? Will they accept that the government has actually “tackled the cost of living pressures for Australians and their families”? Has this budget actually confirmed that “we cannot pass a burden and forsake our obligations to the next generation”? Or, will it be seen as just more of the same hollow rhetoric, doing very little to help with their daily financial struggles, having to meet the increasing costs of living with little wages growth? What growth? What jobs and job security? Why so long to wait for the “infrastructure revolution”? Nothing in the budget is really going to provide much of an early benefit. More broadly, hasn’t the government once again just kicked the budget repair task further down the road? Again, haven’t they basically ignored the most significant challenge of climate change? Both are indeed very significant legacies for our children. However, there is little doubt, from their body language and speech, that both Shorten and Bowen were rattled. But is a role reversal really possible, where Labor is no longer seen as the best at handling education and health? They were really torn between claiming credit, and therefore supporting, and holding back and nit picking. Of course, the Opposition had to support the bank levy – even though this was something of a role reversal for the Liberals – but still clung, awkwardly to their call for a royal commission. What about the politics within the government? The Nats were obviously bought off with the inland freight rail project, the inaction on climate and, of course, their nearly half-billion dollar slush fund – The Regional Growth Fund. But, has Turnbull really shifted back to the centre, as per the initial expectations he created on assuming the leadership? Does he risk the wrath of the hardline right over school funding (especially its impact on Catholic schools), the Medicare guarantee, government infrastructure, taxing rather than more expenditure cuts, and so on? No, the Budget is politically pragmatic, rather than ideological, or principled. Turnbull really doesn’t have a personal ideology that has been lurking in the background, nor a personal policy agenda. He just loves being PM, and he would like to stay there. He has no serious contenders who might realistically hope to replace him. He is still there, pretty much leader by default. So, why not chance his arm on such pragmatism, especially if it gives him some, even short-term, poll relief? While the party’s right might grumble, even seek minor amendments, I doubt it will amount to much more. And, yes, they can point to yet another (probably largely ineffective) attack on ‘welfare fraud and abuse’, with drug testing as a distraction. However, the lack of genuine repair leaves our economy particularly at risk, with little fiscal or monetary policy capacity to respond. This comes at a time the global economy is more difficult to predict than in decades, still struggling to sustain a recovery from the global financial crisis, and at risk of further complication from a host of geopolitical pressures, some alarmingly in our region. First published at the Sydney Morning Herald on Thursday 11 May 2017. 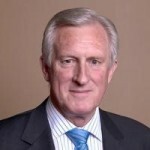 John Hewson is Chair of the Tax and Transfer Policy Institute and the former leader of the Federal opposition. Since then he has run his own investment banking business and served on the boards of several businesses and charities. 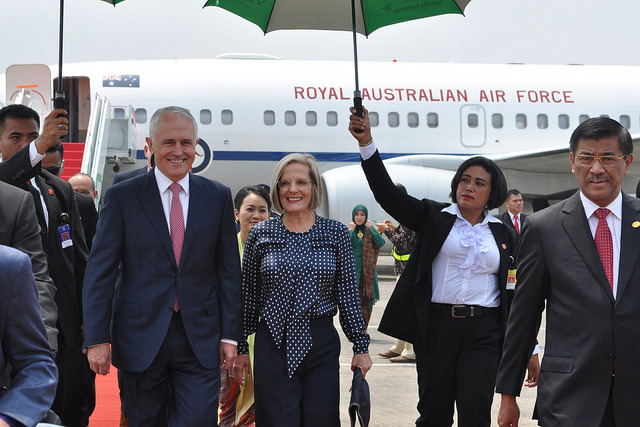 He has also worked as an economist for the Australian Treasury, the Reserve Bank and the International Monetary Fund, as well as working as an advisor to two successive Federal Treasurers and the Prime Minister.